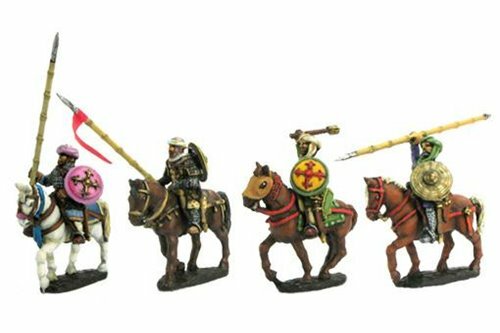 Muslim 1096-1350 There are 14 products. 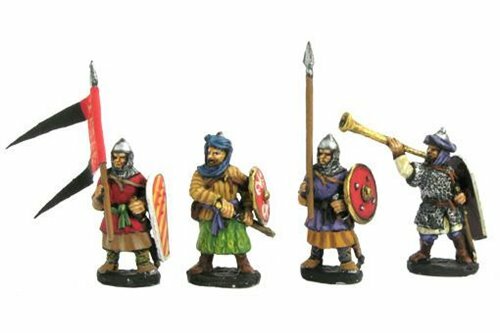 Muslim Infantry, Command Group (3 variants). 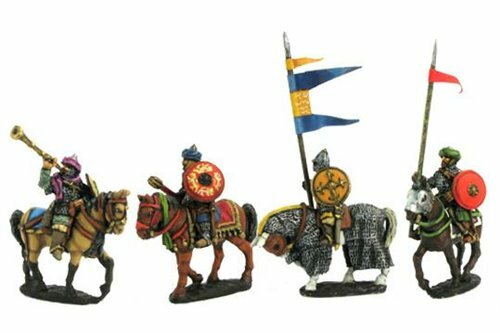 Heavy Cavalry, Ghulam or Mamelukes, walking horses (4 variants). 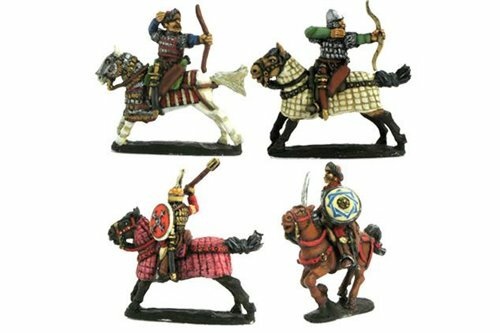 Heavy Cavalry, Ghulam or Mamelukes, galloping horses (4 variants). 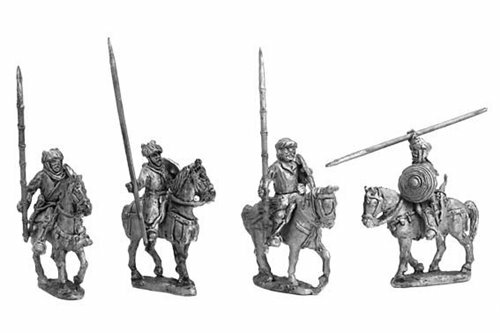 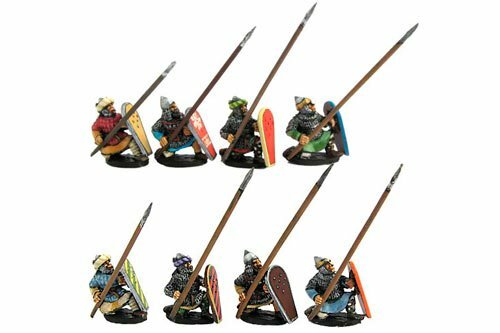 Light cavalry, bow ( 4 variants). 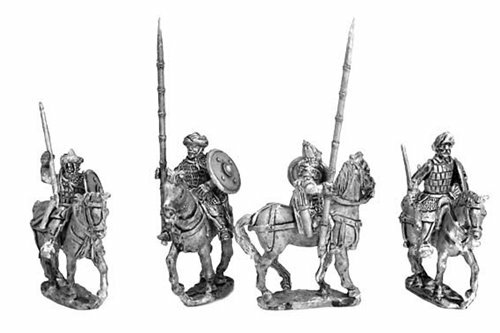 Mounted Command Group (4 variants). 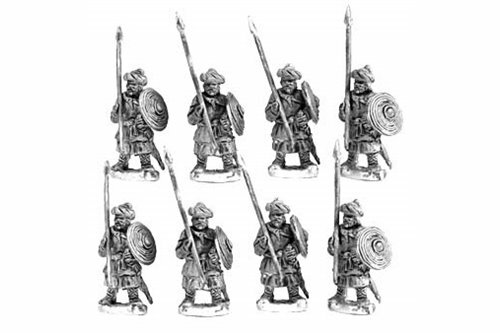 Sub Commander Group (4 varients). 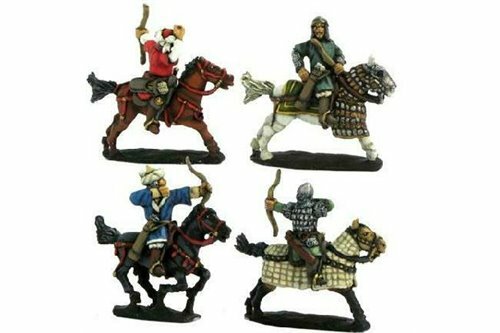 Turkoman cavalry (4 complete cavalymen ). 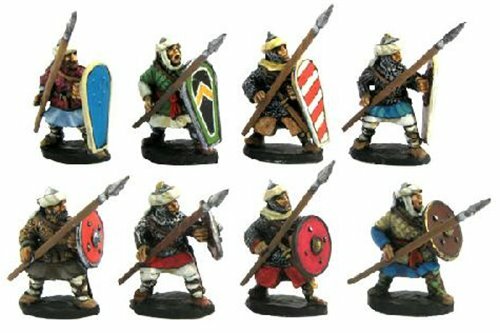 Bedouins mounted (4 complete miniatures in 4 variants). 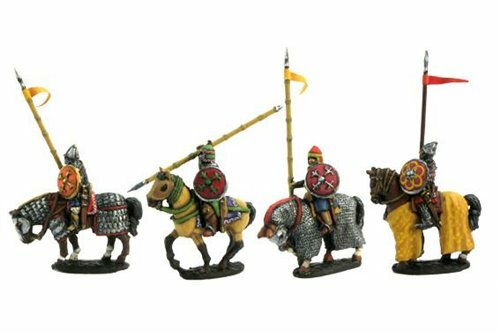 Muslim heavy infantry knealing in defense, lance and shield (4 variants). 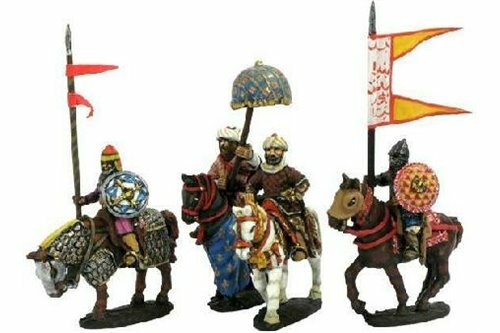 Muslim heavy infantry with lance and shield (4 variants).